Michael Wallace of Highland Lakes, NJ won the American Bass Anglers RAM American Fishing Tour, Division 10 Tournament held September 10th, 2017 on Lake Hopatcong. Running out of Lee’s Park near MT. Arlington, NJ Michael brought back the only 5-fish limit of the tournament and they locked in the scales at 15.26 Lbs. He anchored his back and sealed his victory with the big fish of the tournament that locked in at 5.99 lbs. Michael took home $249 for his first-place finish. Second place was claimed by Karl Lighter of Long Valley, NJ. Karl brought back 4-fish to the scales that went for 5.59lbs. He took home $94 for his efforts. 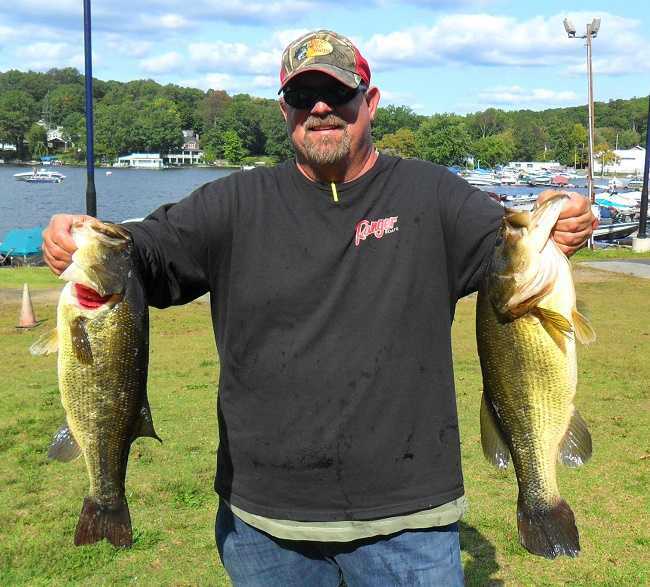 Third was taken by Don Philpot of Shohola, PA with 3-fish that locked in at 5.31 lbs. Fourth was Barry Burner of Watchung, NJ with 4.62 lbs. Gregory Del Russo of Hopatcong, NJ rounded out the top 5 with a weight of .095 lbs. The next tournament for New Jersey Division 10 will be held October 7th, 2017 on Lake Greenwood. About American Bass Anglers: American Bass Anglers is committed to providing low cost, close to home tournaments for the weekend angler and at the same time offer each competitor an upward path for individual angler progression. For more information about American Bass Anglers, the Ram Truck Open Series, the American Fishing Tour or the American Couples Series, visit www.americanbassanglers.com.